Section 60, #1868. One of the newer, larger sections in Arlington National Cemetery. This is where my father rests. 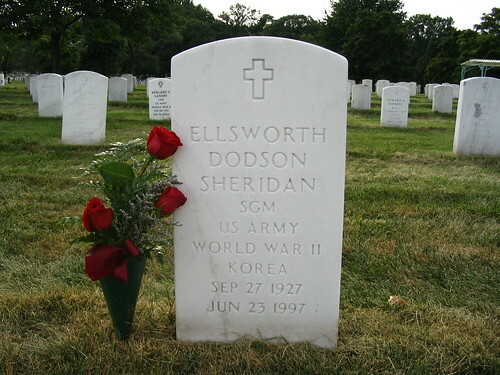 Before my father died, his only wish was to be buried in Arlington. This Memorial Day, CNN has a slide show featuring Section 60. Dad’s new neighbors, so to speak, are the latest of the fallen brave. Although he didn’t die in battle, I am reminded why he had chosen to be here – it’s an honor. You are currently reading Section 60 at mingaling.